Roj Gosh Mah Fravardin, 1379 Yz. My detailed answer: A visit to the Agiary cannot be laid down as a time table, since it depends on every individual’s lifestyle and time constraints, as well as the distance the Agiary or Atash Behram is situated from the person’s residence. Parsis in Mumbai are spoilt for choice as they have over 45 Agiaries and 4 Atash Behrams to choose from! Most of our Baugs or colonies have Agiaries within the complex or very close to the Baug. Those living in cosmopolitan surroundings are not so fortunate. Ideally, every devotee should try to develop a strong spiritual and emotional relationship with a particular Padshah Saheb of any Agiary or Atash Behram. This relationship should be strengthened by repeated visits by the devotee to the particular Agiary and an attempt must be made to make a regular scheduled visit at a specific time either every day, or a particular day of the week. This makes the visit into a habit forming thing and the devotee will get used to the schedule and a pattern will emerge which best suits him or her. In my Daremeher at Jogeshwari, I see several of our Baug residents who have developed such a habit and never miss a day. For those who cannot make this work for whatever reason (although I strongly feel that a daily visit habit should be inculcated) there is a simple solution. All Parsi houses have the Parsi calendar hung up. If you observe the calendar closely, you will see that in every month, 5 days (Hormazd, Ardibehesht, Adar, Sarosh and Behram) are marked in red, while the remaining are marked in blue. Why is this done? Perhaps we can understand Hormazd, since it is the first day of the month and hence auspicious, but what about the others? The persons who first developed the Parsi calendar for printing were persons of great religious wisdom. The first seven days of the Parsi calendar are Hormazd, Bahman, Ardibehesht, Sherevar, Spendarmad, Khordad and Amardad. These are known as the 7 Amesha Spentas, or the 7 Supreme Ministers in Ahura Mazda’s Divine Cabinet (note that Hormazd, the first day is for Ahura Mazda Himself, just as the Prime Minister is part of the Cabinet). Each of these 7 Divine Ministers is given 3 or 4 junior ministers, who are categorized as Yazatas (ex. Behram Yazata, Adar Yazata), Mino (ex. Mino Ram, Mino Ashishvangh), Dae (ex. Dae-pa-Adar) or Farrokh (only one, Farrokh Fravardin). These junior ministers are called the Hamkaras (co-workers) of the 7 Amesha Spentas. Let us see how the work is divided. Hormazd has three Hamkaras: Dae-pa-Adar, Dae-pa-Meher and Dae-pa-Din. Amardad is helped by Rashne, Ashtad and Zamyad. While we will not go into the intricacies of who does what work, for our topic, the important Amesha Spenta is Ardibehesht, who is the divine Minister in charge of Fire. It is for this reason that his co-workers – Adar, Sarosh and Behram are marked in red, since those are the days when all Parsis should visit the Agiary! Thus the first day of the month, and the days of the Amesha Spenta Ardibehesht and his co-workers are the days when it is essential to visit the Agiary, which was denoted by our clever forefathers by marking those days in red on the calendar! An important side effect of this practice will be that you and your children will be more aware of what Roj it is every day, and children will develop the habit of reading and understanding the Parsi calendar and not look blank when someone says “Today is Behram Roj”. To this list I would add one more day – the last day – Aneran. 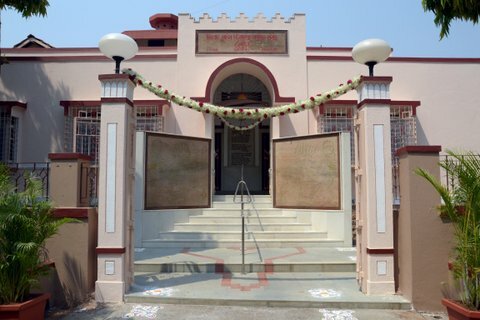 This is the day when every Parsi is supposed to go to the Agiary and give an account of the entire month to the Padshah Saheb, and draw up his monthly Balance Sheet to see what asset (good thoughts, words and deeds) was created and what liabilities (bad thoughts, words and deeds) were piled on. Aneran is also the specific day for reciting the Patet Pashemani prayer, which is the prayer to acknowledge our wrong doing, offering remorse for the same, and resolving not to repeat the wrong doing again. My fellow Parsis! We don’t even realize how lucky we are to be born in to the Parsi faith. After thousands of attempts and millions of years of progress, a soul EARNS the right to be born in to our faith! And yet we are so ignorant that we take our faith and its institutions for granted. I see so many Parsis while away their time doing nothing, watching soaps on TV, chatting for hours on the phone, browsing the net or just letting the hours and days go by, but they do not seem to have any time to visit the Agiary. Those that live in colonies and Baugs with Fire Temples right on their doorstep seem to be least interested, while Parsis who live far away or in other countries yearn to get a glimpse of the Padshah Saheb! I keep on repeating this in almost every post, and I will say it once again. The times are changing and things will get progressively worse, specially for our community. At that time, the only thing which will protect us is not the colony security or the video door phones! It is the Sudreh and Kusti which we MUST have on all the time, our sacred institutions – Agiaries and Atash Behrams, Dokhmas and Varasiaji, and our all powerful Avesta Manthravani. Invest in these assets and start saving for that day in the not so distant future when we will all need their protection. That is our only hope and in them lies our only chance of survival and redemption. i am so glad that i have subscribed to frashogard.The knowledge we get here has only made my beliefs stronger and my faith deeper.I completely agree with you regarding both the topics dscussed here i.e parsis and religious adultery and your response to the question as to when should you go to the agiary.In fact yesterday when i read your blog on Parsis and religious adultery i literally had tears in my eyes as i felt at some point even i am guilty of the same. But after joining TMYZ and reading some religious books i have slowly overcome these things. In fact i had removed everything from my home but then some things not so good started to happen and people said it’s because of your actions of removing these photos that these things are happening to you so i got some photos back and kept them in the cupboard.Yesterday while going through your blog i could not help but repent for my actions, i also tried to take a printout and take it home for my family to read but unfortunately the printer was giving some problem. Please help and guide me as to whether such things as bad luck befalls you when you decide to do away with these things are for real. secondly, since i am a working person i prefer to sit at home and say my farijyat prayers instead of going to the agiary so that i can save on my time and pray instead, is it right. On holiday day’s i try to go but my housework keeps me busy till late afternoon .Please do guide as to what one must do then. Thanks for such an informative article. Unfortunately, today people feel they are more advanced/knowledgeable than our wonderful religion. They wish to make changes to our Agiaries & Dokhmas to suit their own personal agenda. Increasing our numbers is important but what is more important is that the Parsis of today know, understand, respect & follow our religion, the way our forefathers did. That is why they prospered. Today our community faces a lot of difficulty, if only we had adhered to the tenets of our religion. ““On the day you feel it is not necessary to offer thanks to God for all that He has given you, don’t visit the Fire Temple!” (If such a day exists)”. Before I go any further let me offer a rebuttle to his above quote. One can give thanks to God without visiting the Atash Bahram or the Atash Kadeh. Prayers can be offered at home. Visiting a place of worship will not get one closer to heaven. I have seen repeated references to Parsis in Hathiram’s post above. Apparently Mr. Hathiram has never visited Iran. If he is referring to “Parsis” in India then I have news for him. The Parsis in India have no claim to anything Persian, any longer. Unknown instances of intermarriages with the local Indian population in remote villages over the centuries altered their DNA to such an extent that it has now ceased to exist. Recent DNA sampling proved that thier DNA is very close to that of Gujeratis. Furthermore, for reasons of clarity, Parsis should be referred to as Zoroastrians, because that connotates a religious group. “Parsi” refers to a Race of people whose true representatives are the “Iranian” zoroastrians settled in India and the 50,000 individuals still living in Iran. One other suggestion. Discontinue the use of the word “Saheb”. The Persian word for it is Sa’ab. My answer is to an above post. Nodoby is saying that you cannot give thanks to God without visiting the Atash Behram. Infact every Parsi is supposed to recite the ‘kusti’ as many times as possible. The powerful mantra of ‘Ashem Vohu’ can be and should be recited as often as possible. However, if you read Ervad Marzban J. Hathiram’s article carefully & with an open mind, you will realise that he is trying to explain that the sacred fire in our Atash Behrams are living entities with direct connections to Ahura Mazda. The vibrations and atmosphere in an Atash Behram is pure & posiitive. By visiting the Atash Behram frequently we hope to pray/offer thanks in an environment which is pure & free of any distractions (which obviously exist in our homes). Most Parsis have not visited Iran and do not claim to be Persians. We are Indians & proud to be Indians. I feel sorry for the Zoroastrians in Iran, it must be awful not be able to dress as you please, & do without other freedoms which we take for granted in India. I am pretty glad we left Iran. However, when you say that the “Iranian” zoroastrians” settled in India are the true Parsis, you seem to be out of touch. Why did the Iranian Zoroastrians come to India ? They came because the Parsis had seltteld in India thousands of years ago & they knew they would get assistance in reastablishing their lives here. Hence due to religious persecution, most came to India & not to any part of the world. Most Iranian Zoroastrians stay in Parsi ‘BAUGS’ established by Parsi families such as Wadias, Camas, Godrej to name a very few. Many many Iranian Zoroastrians are married to Parsis, I suppose according to your logic they are now diluted & hence cannot be called Parsis ! The Parsis were destined to leave Iran & settle in India to safeguard our faith until BehramShah Varzavand re-establishes our faith in Iran. As for your surveys, that we have intermarried, well there are many many surveys very often contradicting each other. We will continue to be called Parsis & you will just have to live with it. @En Em…Its always better to go to a place of worship and pray. In the house where Atash Behram Saheb is enthroned, the ‘Naad’ of Sarosh Yazad is usually present, as between Atash Varharan and Sarosh Yazad there is a very close relation and contact. Because the music of Sarosh is continuously present, the Bandagi done in Atashbehram becomes more powerful and effective. En Em or Religious Freedom(of Parsi Khabar) is the Nanavutty(1970) study of Parsi DNA wrong ? Israeli Scientist have recently proven DNA evidence can be fabricated.The best part of this NYT revalation is that any undergraduate student can do it. Whom should we believe ??? 1. If you have seen my previous blog entry http://www.frashogard.com/are-the-padshahs-in-our-fire-temples-mere-fire you would have realized the great difference between praying at home and praying in the sanctified and rarefied atmosphere of a consecrated and properly maintained Agiary. No one said anything about getting closer to heaven, but would you not accept that merely visiting an Agiary or Atash Behram makes us feel closer to divinity, rather than standing in our own house? 2. Your news is not news to me. I ALWAYS specifically mention Parsis in my post because I know that it irritates people like you, who would rather have us use Zoroastrians. Your research is spurious, as another blogger has pointed out. 3. By the way, I HAVE been to Iran, at the invitation of their own Anjuman! I have seen the sorry state of affairs of the so-called Agiaries in Tehran which are open to all and sundry and where the traditional Fire has been replaced by LPG piped Fires! I have also had the good fortune to visit real Zoroastrian strongholds of Yazd like Sharifabad and Kuchebiyog and have myself experienced the Divinity of those Fires. 4. As far as your comment on mixing goes, I totally accept that some Parsis over the long period of 1300 years of their stay in India have intermarried, for whatever reasons. We are not claiming to be all pure. But THE OVERWHELMING MAJORITY of the community has maintained its unique and distinct ethnic identity which is why a Parsi always stands out in a crowd of Indians (or atleast used to about 50 years ago.) Now with increasing “acceptance” and dubious “research” like the one you have pointed out, that scenario is changing. 5. Your suggestion to discontinue to use a Gujarati word is not maintainable or acceptable. When we came to India we made a promise to the King that we would give up our native language and use the local language. Unlike those who have migrated to other countries for the love of money and an easy life, those who have stayed around the area where we first landed have kept that promise and hence we use Gujarati, and will continue to do so. I have great love and respect for Persian too, but my primary audience understands the words I use and I do not like to show off my knowledge of Persian (or Avesta, Pahlavi, Pazend, Old Persian cuneiform, old Gujarati and Sanskrit) by using words which most of my readers would not understand. We have pride in our adopted language and our adopted country. Do keep visiting and reading our Blog, which is for Real, True and Authentic Parsis, who would like to know more of what their religion really stands for, and not the dubious mish mash and so called ‘scientific’ ‘research’ handed out by some in the West. I feel that ‘en em’ is this Artemis dude from orkut(not sure though).He had written some blah blah in a community and I had told him to get some ‘REAL’ knowledge. It is sad to know that main issue that needs to be adressed today is not tought by religious sects which should be to be a good human being and do your duty towards mankind and the world by bringing in peace and humanity iby ones deeds by avoiding any kind of adultery. Religious fanaticism only spreads hatred that is why the world has become so cruel. My God or your God only spreads communal hatered when with so much of violence in the world, we need onesness of mankind. And Ms Shezarine Fulwadiwala, bring positivity in your life by removing things one does not get peace, it is the purity of heart and thoughts that do. I was in India in Dec and saw so much of hatreded and narrowminded approach of my relatives that I decided not to go back to India for sometime. You have answered this question when to visit Agiary in the most beautiful & best way possible. I had a big wide smile when i read it because the underlying meaning of it was there is no day when you should not visit Agiary. Due to fast paced life we cannot expect or impose on all to attend daily. But the ones who frequent visit our Padshah Sahebs and pray out of love and humility and no other selfish means knows the divine feeling which cannot be felt anywhere else in the world. When we develop a bond by our frequent visits to a particular Agiary or Atashbehram, it gives a heavenly feeling like that of being an infant in its mothers arms protected & loved like no one else can. Thank you Dadar Ahura Mazda for this precious gift to us mankind. Thank you Ervad Saheb for bringing us more closer to our Lord & our roots by your ever insightful and pure knowledge. Can you tell us something about Hakikat e roza ie it is to do a certain work on each roz. The article is wonderfull, some other time when time permits please explain the importance of all the hamkars in some detail. Thanks for your hard work and information sharing. Firstly i would want to thank you Dastoorji, for putting so much effort in enlighting us Zarthostis/ Pasrsis ( I feel we are all children of Ahura Mazda) Secondly, I agree with all that you write on your Blog regarding religious adultry & trying to visit Agyaris & Atash Behrams daily. I ask you all that if Ahura Mazda blesses us with a good life daily, why cant we show some respect & gratitude towards him? Why can’t we say a thank you prayer to him in our institutions of faith (agyari of Atash Behrams). We should have blind faith in our religion and our powerful prayers. Dastoorji, can you please explain to me why our religion does not allow us to marry outside the community? Did our ancestors in Iran only marry within our community/ or was there only one religion back then? Did our Prophet only profess Mazdayasni preachings to all or only to Mazdayasnis? I feel very sad to say that I do not have much knowledge about my lovely religion. but want to know more. I like this website wherelearn more about my religion. I intend to keep reading it. Thank you again for your time & imparting knowledge with us . For all our prayers we MUST use the LOCAL time, not the standard time. Local time in Mumbai is 39 minutes behind IST. That is why in Mumbai, Rapithwin changes at 12:39 and not at 12 noon, and Uzirin changes at 3:39 and not at 3. The priest obviously does not know much. Trust the matter is clear. To the time in the papers add 39 minutes to arrive at Mumbai time. I have certain questions, please tell me how can I contact you, its a query regarding a article that I have just encountered.